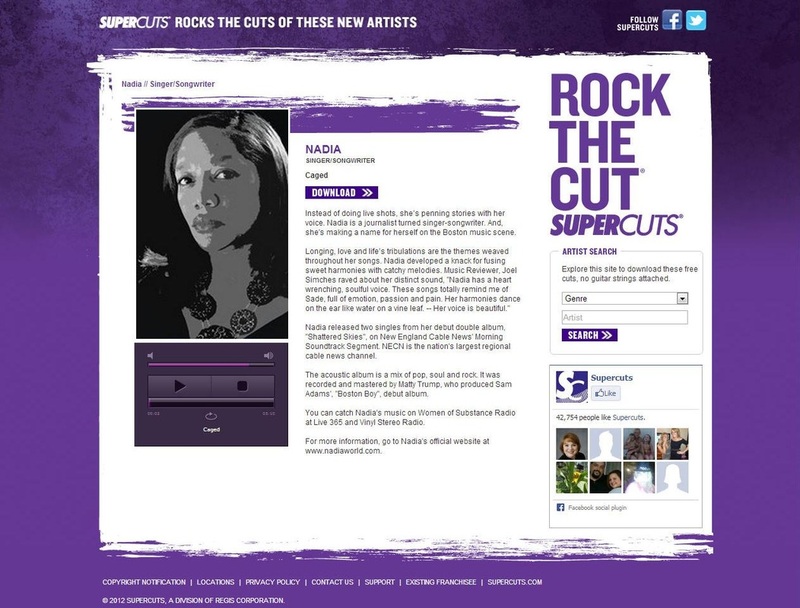 Supercuts isponsored me as part of its Rock the Cut national campaign! My song 'Caged' played at Supercuts around the nation! So, if listeners were ever @Supercuts and happened to hear 'Caged'...I had asked them to send me a shout out on facebook or @nadiaworld! Not sure how often it happened...but it was still exciting to have been featured. Click the button below to get your free download of 'Caged'. This was the screen grab from my Artist Page. I was artist number 1488. How cool was that?